The 1st day at Microsoft Inspire, the largest annual meet conducted by Microsoft, year after year for its network partners to gather on one platform and review as well as ready for the next insights from Microsoft and also to broaden the community’s understanding of its services and products and brainstorm on ideas and solutions that can be offered to the customers around the globe to be able to use the available services in an increasingly efficient manner was a feast for the eyes. With the largest gathering of IT brains all across the world, the event presented the numerous partners and employees who traveled from lands near and far a plethora of opportunities than ever wherein everyone gathered in the T-Mobile Arena to hear to the world leaders talk about how Microsoft technologies and services were being channeled y the partners and global entrepreneurs to bring innovation and ease the life of customers and change business perspectives through intelligent transformation across borders. The focus was also on the upcoming financial year 2019 on how industry specific solutions and customer centric policies and updates that would not only help acquire new customers and businesses but also help retain the previous clientele. New strategies, enhanced training methodologies and readiness opportunities for the new players that come into the market and anchor themselves with Microsoft technologies which would give them the much needed base for growth in the industry. The evening also witnessed great insights from Gavriella Schuster, Corporate Vice president, One Commercial Partner, about programs, tools and resources that would help partners to rejuvenate as well as differentiate their business with the help of latest Microsoft technologies and updates. Corenote, about to start at 8.30 AM Pacific Time was filled with activities and similar sessions with opportunities to connect with active partner communities at the Community Hub. Shuttle services from the hotels started from as early as 6 AM. With resources available to book meeting spaces and also tools that allow booking face-to- face meetings with other attendees till a maximum 9 members per meeting. Also the meeting could be reserved for available slots at the MyInspire meeting tables or any other alternate locations. The Happy Hours in The Commons started from 5 PM to 7 PM that provided unparalleled opportunity to meet up fellow partners and Microsoft Ready Attendees. 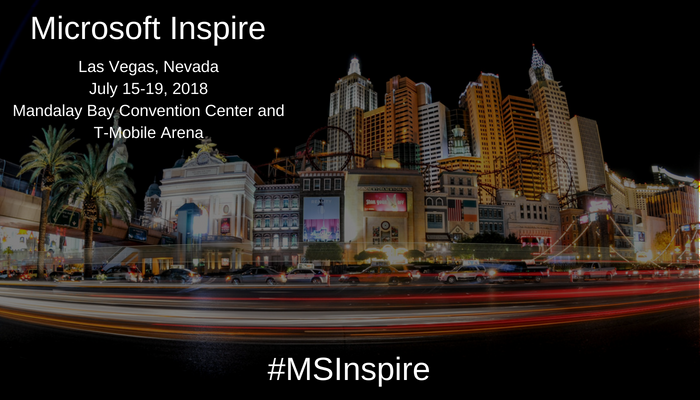 that concluded the Corenote at Las Vegas, Nevada was made all the more worth it by the address of Satya Nadella that enlightened the audience comprising of partners and employees on how Microsoft planned to harp on its mission of empowering every person and organization on the planet to achieve more using its latest technologies such as the Microsoft Intelligent Cloud and Microsoft Intelligent Edge. There were talks by Microsoft Solution area leaders who spoke about new resources and assets that aided delivery of strong Modern Life Solutions with stories from customers all around the world that showed how Microsoft 365 enabled employees to bring in more innovation and creativity into the workspace. Also, the day included details about the expansion of the Azure platform that enabled improvisation across multiple domains. New marketplace capabilities such as Integrated Partner to Partner Solutions that will help channels grow their business with sales and deployment. Expansion of Private Offers in Azure Marketplace that will help partners move away from standard prices, offer better buying prices to customers who in turn achieve a unique buying experience and meet their buying needs. Special Bootcamps and free access to the dynamic self service for partners, including business insights which would help them get a better understanding of the business apps and enable them to understand performance and stability of their business. Microsoft also announced advanced specialization and services for its partners that would help them go the extra mile and boost their profitability. Market Benefits Package: Helping its partners build market practices that are more targeted and help partners to select from four business packages depending on their business focus in the later part of the year. New Apps and Technologies for Azure: Announcements regarding the launch of Azure Data Box Disk and Azure Firewall and Azure Virtual WAN. These innovations seem quite promising when it comes to data transfer within organizations as well as compliance policies. Microsoft 365 Updates: Announcing the availability of Microsoft Teams collaboration app as a free version in the Office 365 suite. Also, an additional feature of Workplace Analytics was added that would help teams discover and meet challenges. Updates on Software as Services: Releasing updates on a lot many services from its plethora of services such as Azure IoT Central which would in turn support for Power BI and Microsoft Flow to enable real time intelligence visualization. Expansion of the Microsoft Library of free playbooks with two new additions to help its partners build practices in new arenas which would serve as guidelines for managing and developing cloud practices. With technology advancing at an unprecedented pace today, it has become essential for corporations to ensure optimal security when it comes to sharing confidential corporate reports and other such information. Bitscape offers consulting services for Microsoft Power BI platform, so you can get the perfect solution to your business data analysis and sharing needs. What is MS Power BI? Simply speaking, the Microsoft Power BI platform allows you to share, provide access and secure reports and dashboards created by you, with other authorized users only. This is the efficient way today of providing limited/complete, access to users, depending on the level of their role. The Microsoft Power BI security system is the perfect tool to improve your business performance. It allows you to create analytics, and get deeper insight into your market, to make smart, profitable business decisions. With the Power BI platform now you can achieve the optimal level of data security in sharing sensitive corporate dashboards and reports, like never before. Web Front End (WFE) – This cluster is responsible for managing the initial connection and authentication procedure for the Power BI Suite. 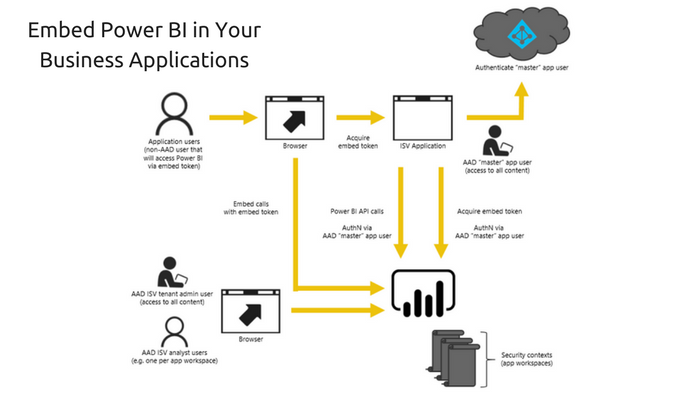 It uses AAD authentication process for clients, and provides tokens to help connect directly with the Power BI service. 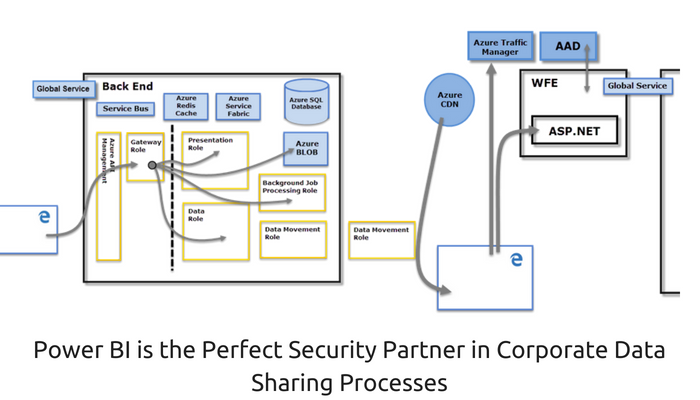 The ATM (Azure Traffic Manager) is then used to direct user traffic to the nearest datacenter efficiently, using the DNS record of the clients. The Azure CDN (Content Delivery Network) is used to share the necessary non-dynamic content and files with the client/users, according to their specific geographical location. Back End (BE) – This cluster helps clients with authentication to successfully interact with the various Power BI services. 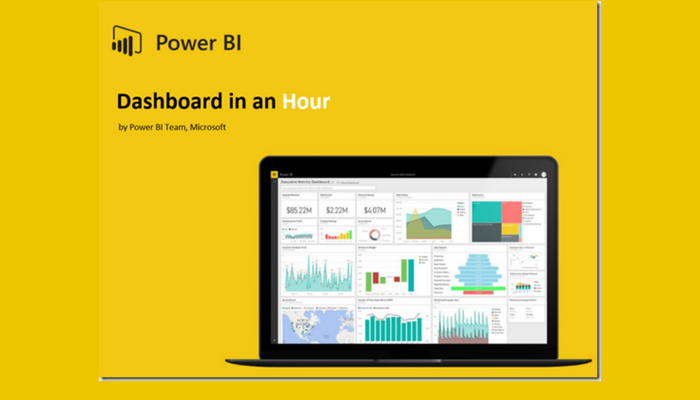 It helps to manage user dashboards, visualizations, reports, data connection, data sets, data storage and other interactive aspects of the Power BI Suite. The user requests for access to any content or file is handles with the Gateway Role, which is the sole role that the user will interact directly with while using the Power BI service. The Gateway Role, in turn, is operated by the Azure API Management tool. The restricted direct user-access through Power BI is probably the best security feature in this service suite. The Power BI security procedure allows users to interact directly only with the Gateway Role and Azure API Management, while the rest of the aspects of Power BI, such as Presentation Role, Data Role, Background Job Processing Role and Data Movement Role are out of the user’s reach. Azure BLOB – This stores all data uploaded by the users. Azure SQL Database – This stores and manages artifacts of the system and all metadata files. This clear demarcation for user-accessibility to the different components of the Power BI allows it to effectively keep all user data and corporate information stored in MS Azure safe and completely secure. The AAD (Azure Active Directory) is used by the Power BI for authenticating users, as soon as they login, as well as when requesting access to any data or content in the storage. A simple email address is needed to login to the Power BI services, as this inherently becomes your Username on the system too. Apart from this excellent authentication procedure, the Power BI security platform also allows adding customized AAD-based security protocols, enhancing multi-tenant system security and improving your network security effectively. Normally, users are responsible for sharing data. In case a user logs-in with their effective Username, and share any content (dataset, dashboard, etc) they are connected to within the specific data source, the shared data is not restricted by conventional restriction measures. Only connections with SQL Server Analysis Services, through On-Premises Data Gateway, are able to cache dashboards in Power BI. If the user wishes to allow access to other users to the underlying data, then such an authentication can also be granted. BITSCAPE has been a prominent provider of Microsoft, especially the Azure cloud-based services at a global scale. The company is renowned for offering the best and most effective IT solutions for small and large corporate clients. Data assimilation doesn’t simply end with the report or dashboard. Bitscape offers Microsoft Power BI consulting services. With Microsoft Power BI, it is now possible to collect and process business data to provide users with excellent, versatile and truly dynamic dashboard designs. The aim behind making the dashboard more attractive is not to make it aesthetically appealing, but rather to provide an easy-to-read interface that provides users with the relevant information easily. Bitscape can assist you with use of Power BI visual design feature, so you can make your dashboard look clean, organized and better for use by others too. The extensive Microsoft Power BI designing visuals are perfect to create dashboards that help to display the required information faster, and in a better manner, to the user. Mainly, the dashboard works as a single point to monitor multiple aspects of the business, sort of an overview of the current business performance. A large number of datasets and reports usually combine to become the information displayed on a dashboard, which can contain a large amount of detail. As dashboards need to provide the relevant information in a concise manner, whenever possible, for the users, it becomes important to prioritize the information to be actually displayed on the dashboard. Try to keep the tiles aligned, avoiding scrollbars as much as possible, and ensure that the information can be seen in the ‘Full Screen’ mode. The trick to make the users realize the prioritized information is to set the relevant information in a bigger or more prominent font than the others. Always ensure to provide the correct context with such prominently displayed information for better understanding. Experts suggest that the best location to put the most important information on a dashboard is on the upper left hand corner, followed with the less prioritized information as you go lower. Using Power BI visual design, it becomes possible to make your dashboards be impressive, accurate, organized and highly convenient for the targeted audience. 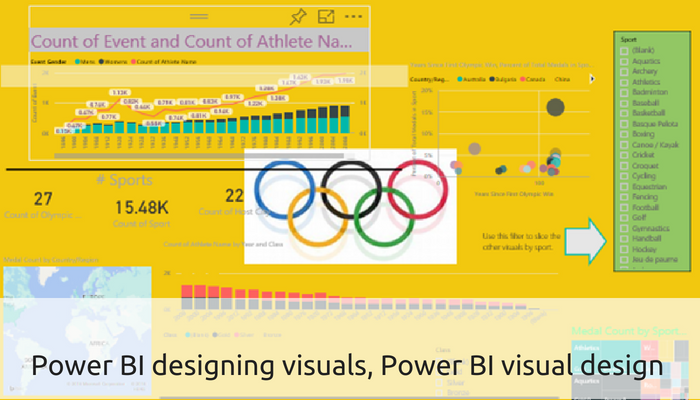 Contact Bitscape to understand the true potential of Power BI visual design features. Power BI is essentially a service based on the cloud that helps with accurate business analytics while enabling users to analyse and visualise data with speed, accuracy, efficiency and proper understanding. It also connects the users with a wide range of well-curated data via user-friendly dashboards, compelling visualisations, interactive reports, etc. Many times when you file a report about certain events or projects held in the organisation, you might forget to add certain crucial information to the main report. Having a whole new grid added to the main report isn’t possible, and you add the required information to a fresh sheet. This separates the relevant information from the main report. Power BI with Dr’llthrough creates a possibility to add all the relevant data into the main report for proper analysis of data and future reference. With Power Bi, you need not have to scroll through two or three separate files for data of the single individual. Simple input of keywords can get you all the data in one go. As a Power BI user, you can also extract specified information of any client or customer by accessing a primary column destined for all information such as email id or address. With the feature-filled Bit over Filter for Power BI, you get the capability to penetrate an individual maker/buyer or handler. You can easily fill in all the extra information that is associated with your client all on separate pages starting from manufacturing reports to client’s details. This helps in proper data segregation. With Power BI, a single report is contained within an individual workspace. It can easily be associated with numerous dashboards encrypted within this individual workspace. The tiles that have been pinned in a single report can easily be accessed over multiple dashboards. Reports can be created with the use of data from a single dataset. However, this comes with an exception that the Power BI Desktop shall effectively combine 1+ dataset as a single broadcast which can then be imported by the Power BI. Power BI holds the capability to segregate together the data belonging to any organisation regardless of its location. Power BI is a helping hand that plays a significant role in the creation of user-friendly reports for the clients that help business with better data analysis and smooth performance. Bitscape is a member of Microsoft Power BI Partner Community that is one of the largest and most extensive collaboration between expert IT companies that have the common goal. Bitscape’s aim is to use its expertise in developing Microsoft Power BI dashboards for optimal business management and performance. Dashboards are central points of access for authorized users to view and analyze updated information. This is an excellent way to make sound and safe business decisions for corporations of all kinds. The ideal dashboard software should allow the user to monitor, and to measure, their business performance, based on real-time and updated data. The ability to view your overall business performance efficiently on a single page, with easy-to-use GUI, makes it an excellent business solution. Why Join Microsoft Dashboard In A Day (DIAD) Program? The Microsoft-based Dashboard In A Day, or DIAD as it is popularly known now, is an excellent way for IT solution providers to connect with potential business clients. An entirely free workshop, which provides hands-on experience to business analysts, and is complete with a presenter deck, a step-wise guide along with the required dataset. An effective learning program which is updated on a monthly basis. This is an single-day workshop aimed at increasing learning and adoption of Microsoft Power BI by business worldwide. Why Choose the DIAD Program? Generating leads that are attracted through displaying your expertise and skills to the targeted customers. Ensuring stronger trust in your ability to perform the task, in the minds of the customers. These long-term benefits spell for wider promotion for your company, not to talk about the impressive rate of retention you get. Contact Bitscape for knowing more about Dashboard In A Day (DIAD). With increasing advances in business IT solutions, it has become easier for businesses to improve their performance significantly. Today, we have advanced business data analysis and processing tools which help to get an idea of the current business performance and make the desired tweaks to improve the business performance even more. 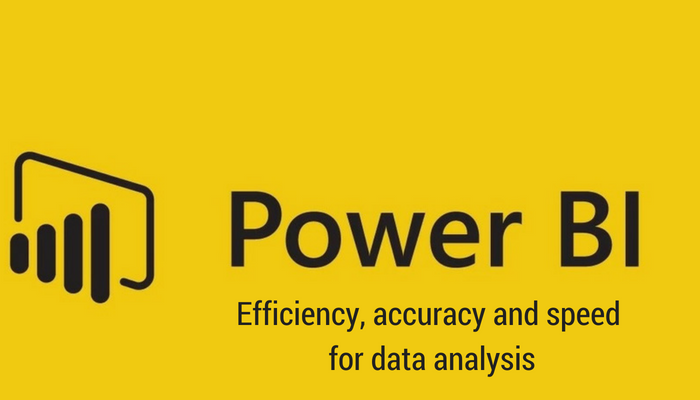 Out of all the available data analysis and reporting tools today, the Microsoft Power BI platform is the leading choice of thousands of small and large business worldwide. This cloud-powered platform is a comprehensive tool to not only collect and assimilate big business data but to analyze the data and produce relevant and accurate reports to help you make the best business decisions. Usage metrics help to understand the impact of the dashboards and reports created for your business. When you utilize the usage metrics, it allows you to see the Power BI usage data trends clearly. Although the usage metrics are read-only, you can easily customize these with the ‘Save As’ option. This will help you to create a new dataset and convert the read-only report into a dynamic and interactive Power BI report which can be edited too. The usage metrics report includes metrics for not only the selected report/dashboard, but it also gives access to all usage metrics from other dashboards/reports within the same work segment. This feature is excellent when it comes to measuring the impact of a particular report or dashboard, and helps to further improvise the report/dashboard for ultimately better business performance. Sharing reports easily with other authorized personnel is one of the best features in Power BI pack. To be able to share your reports or dashboards with other users, you and the users will need to have a Power BI Pro license, or the content should be ‘Premium’ content. Today, even free users of Power BI can use the dashboards shared with them in a ‘Premium’ capacity. MS Power BI allows you to easily share dashboards and reports from numerous workplaces, including ‘Favorites’, ‘My Workspace’, etc. When you choose to share dashboards and reports using Power BI, the recipient can view these and interact with them. However, as the reports and dashboards that are shared are in a read-only format, these cannot be edited at the recipient’s end. If you allow it, the recipients can also share the same report or dashboard with other users by forwarding the same. It also becomes possible to share dashboard and reports with people outside the business, without the fear of having the report/dashboard being edited or changed in any way. Using the latest updates of Power BI, now it is possible to customize the way you share reports with other users. The new option allows authorized personnel to choose the reports which they wish to be displayed to the recipients, while hiding the access to the others. Using this feature it becomes possible to selectively share your reports within the Power BI app. BITSCAPE has been the prominent provider of excellent IT solutions to business all over the world. Today, the company is renowned for providing the most advanced Microsoft It solutions to small and large corporations with an aim to ultimately improve business performance. Using these latest features in the Power BI pack, the way business is managed is revolutionized. With technology advancing at an unprecedented pace today, it has become essential for corporations to ensure optimal security when it comes to sharing confidential corporate reports and other such information. Microsoft, being the global leader in software development, offers the Power BI platform for the perfect solution to your business data analysis and sharing needs. We live in an age where you having a fully functioning computer right in your pocket. The immense leaps in technological advancement enabled us to integrate the latest tech and develop the smartphone which not only works to keep you constantly connected with others it also gives you the power of the internet in your palm. Today, the smartphone is also enabling us to effectively improve our businesses in every sense. From promoting your business online, to allowing customers direct access to your products/services, to even managing the inane day-to-day functions the smartphone applications are designed to manage all with equal efficiency. Microsoft, the global leader in software development technology, provides the Power BI (Business Intelligence) suite to take care of all your business functioning need. This amazing platform is designed to offer in-depth insight into the business and market, through efficiently collecting data, processing it, and providing the most updated and relevant business reports. Now, every one of us uses apps, at least a few times during the entire day. The same holds true for people working in large or small corporations. The immense mobility and reach of the smartphone has made it one of the most effective tools for employers and employees to improve productivity for increase in returns. Although there are numerous software that promise to provide users with the best data analysis, processing and reporting functions, the truth is that with the gargantuan scale of data which is collected by any corporation every one of these business management apps or software falls short in providing the level of efficiency which is actually required. This has been a constant challenge for many software designers and developers. Improve compatibility with different user devices (smartphones, tablets, wearable, etc) for equally smooth functioning. Enhance data collection, processing and reporting with accurate insights. Enhance the visual appeal of the data being displayed for easier perceiving. Although you may be quite proficient with software design and development it is always advisable to leave complex development, to professionals. Energize your apps – When you choose to embed Power BI into your existing business platform, you get the best-suited solution. This leading platform is cloud-powered and open source. This makes it inherently more efficient in delivering the data insights to users in a way which is significantly more visually appealing and easier to interpret. This comprehensive software suite is the perfect solution, for a small part of the investment for conventional software and helps to induce energy into your app. Enhanced Efficiency – When you choose to embed Power BI into your business apps, this makes your business app get easier connection to relevant data (on-site and off-site data included), using advanced connectors. The numerous features, such as Custom Visualizations, Natural Language Query, etc help users to get the most relevant results faster. Increased Reach – Using the Power BI applications, you will be able to search and access the relevant results quicker. Apart from allowing faster processing of data, it also helps to present the report in a easy-to-read manner. BITSCAPE has been a prominent provider of effective and efficient IT solutions for companies from a long time. Choose to hire the expertise of BITSCAPE for all your business Power BI applications needs and ensure smoother, and more efficient business functioning. Bitscape offers comprehensive BI services using familiar Microsoft technologies including recent inclusion of Microsoft’s Power BI data visualization. With Power BI and Power BI desktop our expert consultants can help you create collaborative BI suite, help you keep your reports up to date including scheduled data refresh option. With natural query language based search available you can ask questions to your data and do data queries for the team as well as search/maintain data catalog. 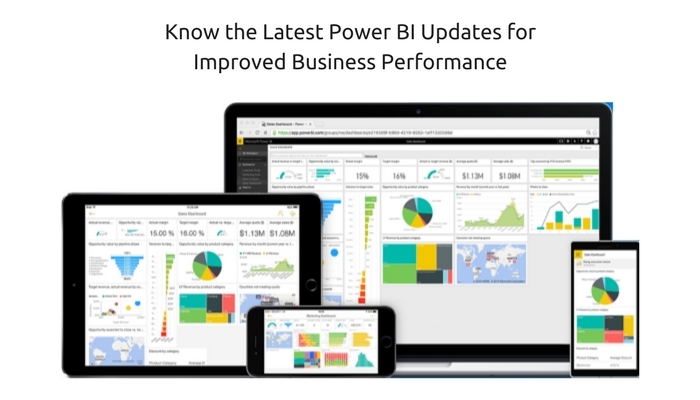 Microsoft’s Power BI is built around three core components: datasets, which contain all of the raw information a user brings into Power BI; reports, which organize that data into a set of charts and graphs and dashboards, which are single live-updating pages that provide an at-a-glance look at specific visualizations based on those reports. 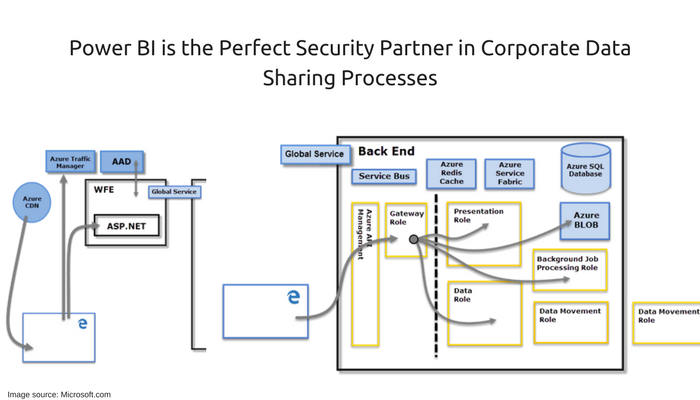 The tool can pull in content from a company’s data using connections to a variety of sources including Azure SQL Database, Azure SQL Data Warehouse, SQL Server Analysis Services and the Apache Spark on Azure HDInsight service. In addition to those data sources, Microsoft has added a number of “content packs” from third party vendors like Salesforce, Acumatica, GitHub and Zendesk and SAP High-Performance Analytic Appliance (HANA) to name a few. The packs will pull in datasets from those services, and also include pre-populated reports and dashboards designed to get users off the ground and quickly display relevant information. Today Power BI is also able to leverage power of R. R is the most widely used programming language and software by statisticians and data scientists, and increasingly adopted by business analysts. With Power BI gateways, you can keep your data fresh by connecting to on-premises data sources. The gateways provide the flexibility you need to meet individual needs, and the needs of your organization. The Power BI gateway for personal use is designed for use with personal data sets and allows you to refresh your on-premises data quickly without waiting for an IT Admin. The Power BI gateway for enterprise gateways is used by organizations to serve a large number of users. Bitscape’s expertise in Microsoft BI since 2011 along with Microsoft Worldwide Award recognition as finalist for Business Intelligence for 2013, do further complement our Power BI servicing ability. We literally make your data in to gold mine for you. Do contact us today to consult how we can help you with analytics and dashboards need of yours. Azure DevOps Server 2019: A revolution in self hosting. © 2019 Bitscape Infotech Pvt. Ltd. All rights reserved.